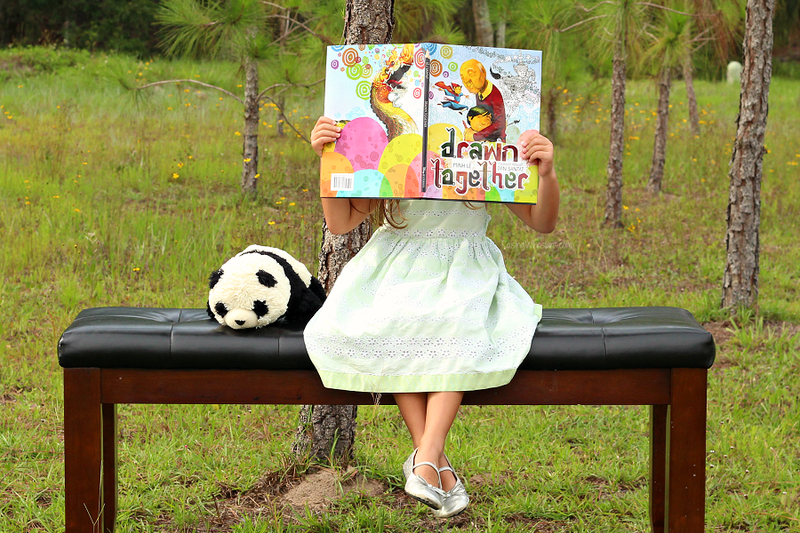 Why your child needs to own the new book release from Disney Books, Drawn Together, a Multicultural Kids Book Overcoming Language Barriers. Post sponsored by Disney Books. All bookworm opinions are my own. It’s a truth that I’ve known ever since I was a child. Our world needs more multicultural kids books. Growing up, I struggled to find books where I could see me, a small little Asian girl in a life-changing story. Super rare in those days, I clung to the few Asian kids books like they were gold. In fact, I still have them today. When I heard that Disney Books was releasing a multicultural kids book featuring an Asian child, art, family love and overcoming language barriers – I knew it was going to be an instant classic with my 5-year old. 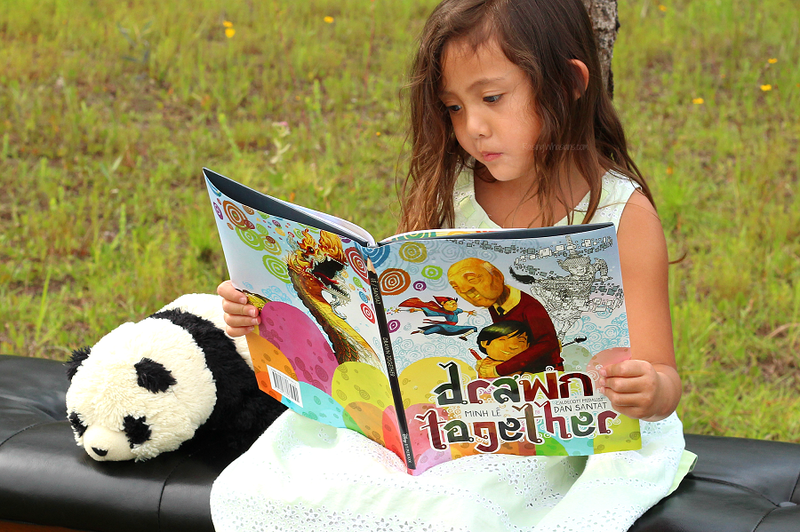 Drawn Together, the newest heartwarming story in our book collection, is the multicultural kids book our kids need. Find out why there’s so much buzz already about this story and scroll down for a Disney Books giveaway! Learn more about this new release from Disney Books with this video feature. 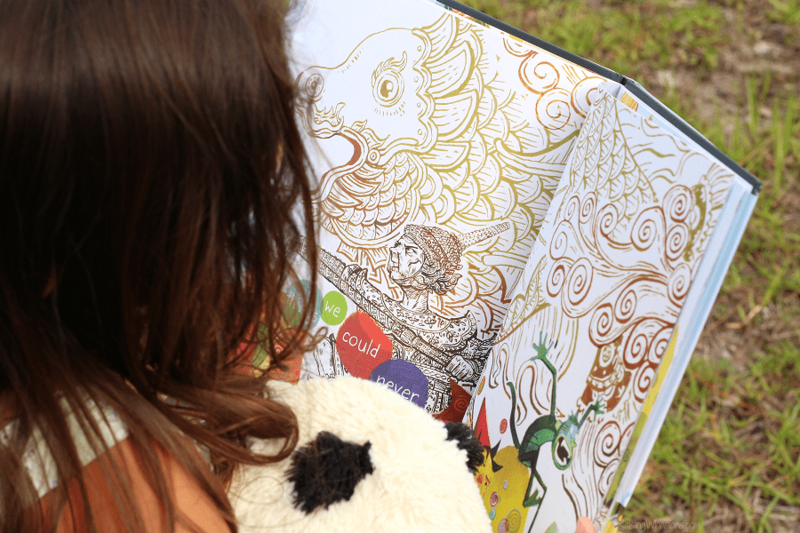 There’s power when kids see heroes that look like them between the pages of their books. It’s something that stuck with me growing up. And I know that it’s something that will stick with them too. More than just a story, Drawn Together combines the best of storytelling, brilliant visual graphics (from comic book scenes to full spreads of colorful artwork), family love, and a modern approach to diversity, acceptance, and breaking through multicultural barriers. 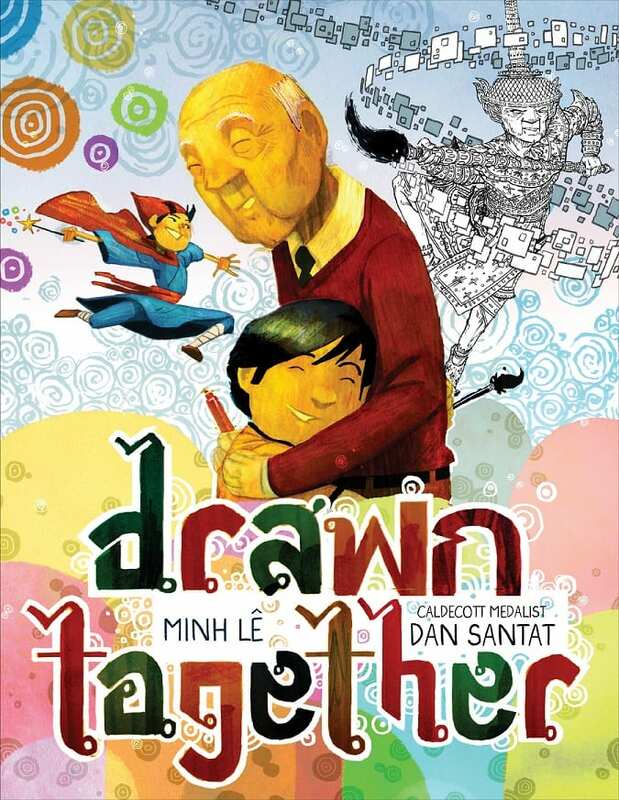 Celebrating the bond between grandparents and grandchildren, communicating beyond words and family love that is so much deeper than anything – I love how Author Minh Lê and Caldecott-winning illustrator Dan Santat created such a beautiful story. And even with this picture book being recommended for ages 3-5 years, my 9-year old son really got into reading this one as well – with all of the super hero action, comic book styling and lots of visual interest. Disney Books has done it again. 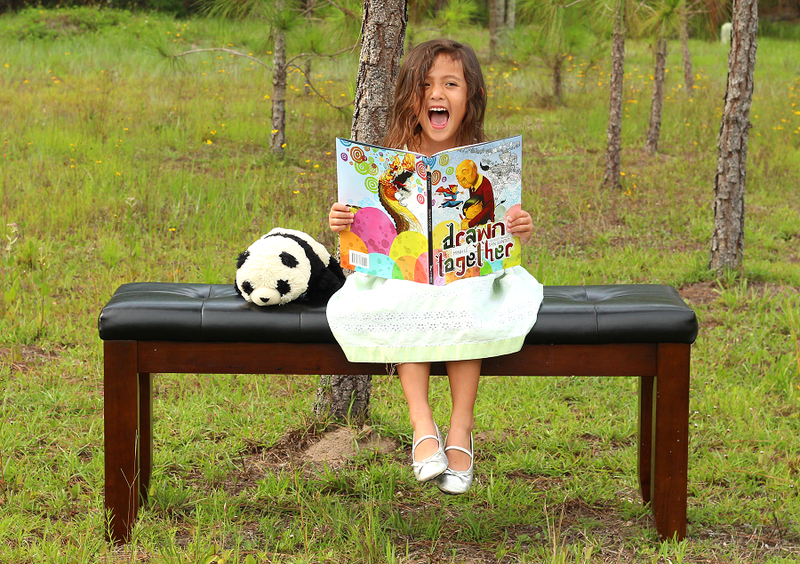 Drawn Together is the multicultural kids book that this generation of children need. And I am so proud that my Whasian children can see themselves, their world and a beautiful Asian culture between the pages. I hope this book is one that will continue to inspire my kids as we pass down this Asian multicultural book down through the generations. 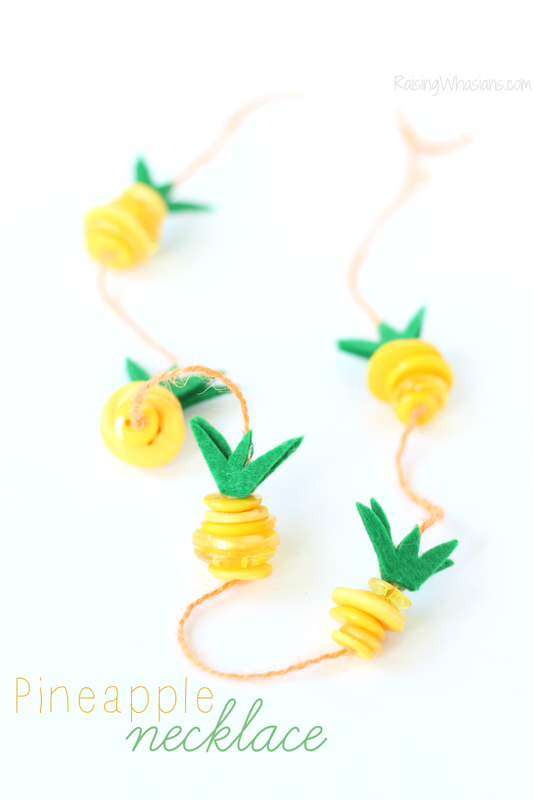 FUN kid-friendly art materials including Crayola Twistables + set of paintbrushes! Disclosure: This giveaway is sponsored by Disney Books. Raising Whasians is not responsible for prize fulfillment. One winner will be randomly selected using the Rafflecopter random selector and will be notified via email. Once notified, the winner will have 24 hours to respond or a new winner will be chosen. This giveaway is in no way associated with Facebook, Twitter, Instagram, Pinterest or Google. Void where prohibited. This disclosure is made in accordance with the FTC 10 CFR, Part 255 Guides Concerning the Use of Endorsements. Be sure to follow Raising Whasians via Facebook, Twitter, Google, Instagram, Pinterest and YouTube for more of your favorite giveaways! I would read Drawn Together with my kids. I’d read this to my 2 daughters! I would share this with my best friend’s son! He’s at the perfect age for this! I would read this too my little niece and nephew. I would read this to my nieces! I would read this to my niece. My daughter and I would use these to help with my son. I would read with my two little nieces. I would read this with my grandson. Thanks for the giveaway! I would read this with my kids. I would read to my daughter. I would read it to my daughters. I would read it to my two kids. My nephew is at our house every day and he is autistic. I think this would appeal to him. I’d read these to my nephew. I’d read Disney Books’ Drawn Together with my daughter. She would love that. I would read it with my son. Thanks for chance. I would read this to both of my children! I would be reading with my youngest son. He loves new stories. I would love to read it to my Pre-K class & my nieces and nephew. I would give to my niece or save it for a kid for Christmas. A sweet little girl that I know. I would give the book to my daughter who works as a teacher in an after school program. They have a lot of cultural issues and I think they would like this book! I would read these books with my daughter. I would give this prize pckage to my daughter. She would love it. I would read it to my niece and nephews. I would read this with our girls. I’d read it to the library’s kids reading group and donate the book to the collection. I would read this book to the students at the school where I teach. My grandson and I will work on some great and pretty pictures together, and I will read him this great book too. I would read it with my 5 year old granddaughter. i would read it to my kids. they would love it. I would read these to my daughter! Thanks so much for the chance! I would read them to my two grandsons. My little guy. Looks cute! i would read these to my daughter and son at night! I’d read this to my friend’s little boy. I would take turns reading with my Granddaughter. It is a great way to connect with each other. I would read these books with my little girl. I would read these with my granddaughter. I would read Disney Books’ Drawn Together to my daughter. Thanks for the giveaway! would love to read this with my two little ones! I would read this to my daughter Kenzie. i would read these to my son! I would read it to my nephew. I would read it to both my son and daughter. My toddler. He loves any and all books. I read this to my 2 daughters.